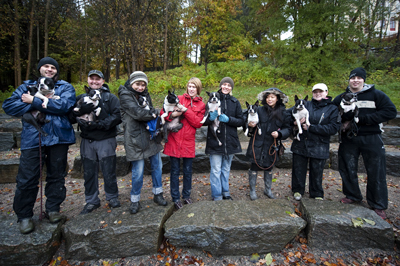 I breed Boston Terriers and are located in Lilla Edet, not so far from Gothenburg in Sweden. Our dogs lives with us in the house as familymembers. We follow SKK´s breedingpolicy and SBTK´s breedingrecomendations for the breed, and are approved by SKK and Länsstyrelsen. Do you want to know more about the breeds or my breeding are you welcome to contakt me!